1: Like A Phantom (3:51) Rating: 4 Lyrics by: Brian McNally Record date: 08/10/2013 DDD digital multitrack recording by MX Skroch Copyright © 2013 The Sheep Fiends Foundation. 2: The Weakest Selector (6:35) Rating: 5 Lyrics by: MX Skroch Record date: 08/10/2013 DDD digital multitrack recording by MX Skroch Copyright © 2013 The Sheep Fiends Foundation. 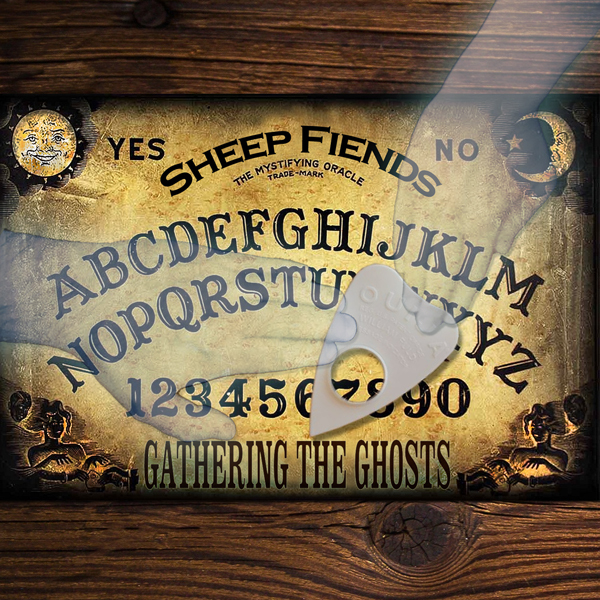 3: Ouija Madness (5:46) Rating: 5 Lyrics by: Brian McNally Record date: 08/10/2013 DDD digital multitrack recording by Brian McNally Copyright © 2013 The Sheep Fiends Foundation. 4: Intermodal Interlude (10:54) Rating: 4 Record date: 08/10/2013 DDD digital multitrack recording by David Ladd Copyright © 2013 The Sheep Fiends Foundation. 5: Had To Run (2:37) Rating: 3 Lyrics by: Brian McNally Record date: 08/10/2013 DDD digital multitrack recording by MX Skroch Copyright © 2013 The Sheep Fiends Foundation. 6: Linked Hands (2:28) Rating: 3 Lyrics by: Matthew Cramer Record date: 08/10/2013 DDD digital multitrack recording by MX Skroch Copyright © 2013 The Sheep Fiends Foundation. 7: Jerk Around (4:32) Rating: 3 Lyrics by: Brian McNally Record date: 08/10/2013 DDD digital multitrack recording by Brian Cameron Copyright © 2013 The Sheep Fiends Foundation. 8: Hey Billy (5:49) Rating: 4 Lyrics by: MX Skroch Record date: 08/10/2013 DDD digital multitrack recording by Brian Cameron Copyright © 2013 The Sheep Fiends Foundation. 9: Wind It Till It's Wound (5:03) Rating: 3 Record date: 08/10/2013 DDD digital multitrack recording by Brian Cameron Copyright © 2013 The Sheep Fiends Foundation. 10: Lemmy Hagar (4:31) Rating: 4 Lyrics by: Brian McNally Record date: 08/10/2013 DDD digital multitrack recording by MX Skroch Copyright © 2013 The Sheep Fiends Foundation. 11: Spirit Realm Intrusion (4:05) Rating: 3 Record date: 03/17/2012 DDD digital multitrack recording by MX Skroch Copyright © 2012 The Sheep Fiends Foundation. 12: To The Bottom Of The Sea (4:05) Rating: 5 Lyrics by: Brian McNally Record date: 08/10/2013 DDD digital multitrack recording by MX Skroch Copyright © 2013 The Sheep Fiends Foundation.